A favorite demonstration is to boil water by lowering the pressure in a bell jar using a vacuum pump. Unfortunately, purchasing a bell jar, vacuum plate, and vacuum pump can run upwards of $1,000 which poses a hardship for many teachers. Additionally, many published procedures for demonstrating these two concepts require complex setup in terms of glassware and reagents. Here are two examples of simple demonstrations you can slip in to your existing sequence to engage your students in discussions of phase equilibria. Prior to class, heat a sample of tap water on a hot plate. Add a few drops of blue food coloring to help as a visual aid. The exact final temperature is not crucial. Play around with how hot you need to get it for the best effect. Expel all air from a roughly 100 mL syringe equipped with a stopcock. Then, fill the syringe between ¼ and 1/3 of the way full with the warm water. Close the stopcock and ensure there are no air bubbles in the water. Pull back on the syringe and the water inside will boil. Fill a 500 mL ball jar until about 1-2in of space remain between the surface of water and the lip of the jar. Cover the opening of the jar with plastic wrap and secure in to place with a rubber brand. Tear off any extraneous plastic wrap. Use a fork to poke several holes in the plastic wrap covering the jar opening. Prior to the demonstration, place the jar in a microwave and heat until the water has been boiling for a minute or so. The goal here is to make sure the air above the water is saturated with water vapor. Using oven mitts, remove the jar from the microwave and allow bubbling to stop. 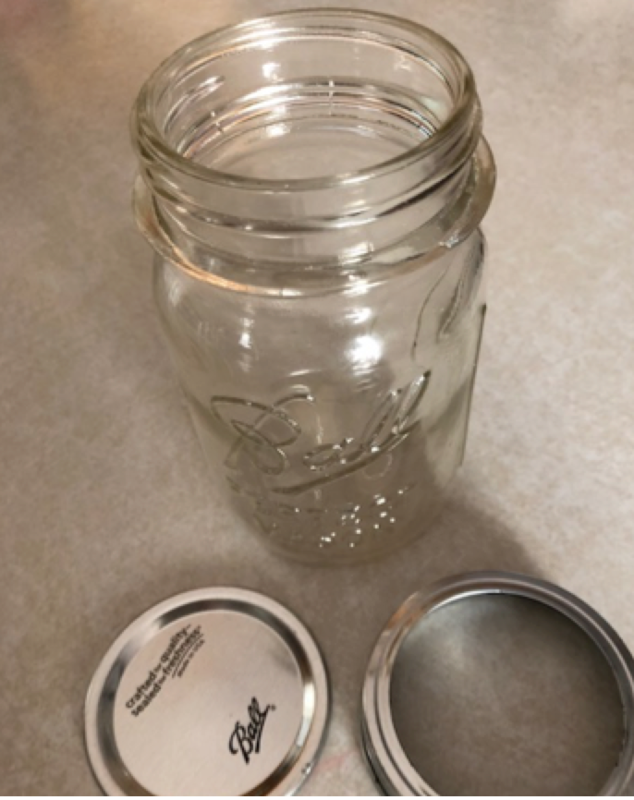 Replace the lid of the ball jar (both pieces). 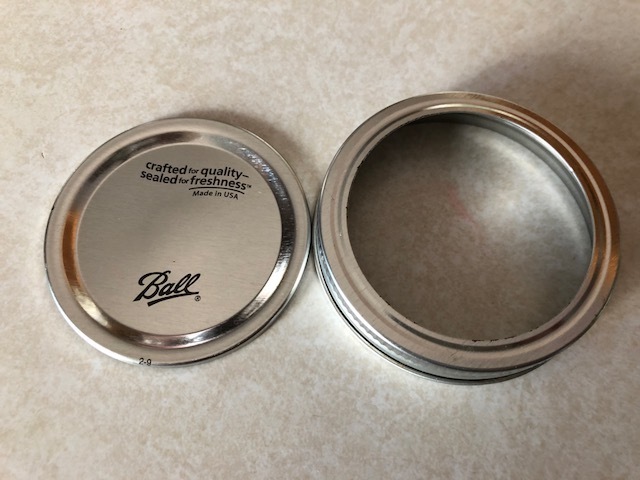 Be careful, the temperature of the metal lid will rise rapidly once it touches the jar. In front of the class, place several ice cubes on the top of the ball jar and the water will begin to boil. You will want to practice to see how long you can wait between removing the jar from the microwave and performing the demonstration. I usually do the setup while students are working on something in class, or just prior to class. The jar can be reheated multiple times before it will have to be reassembled. Safety Warning: When reheating, make sure to remove the metal lid from the ball jar before placing it in the microwave! Why is it so difficult to pull back on the syringe? When the ice cubes are added, how does that change the ball jar system? At the particle level of matter, what do we mean by “temperature”? At the particle level of matter, why does changing the temperature/pressure affect the other? What are all of the surfaces that the gas above the water is able to collide with? Write a chemical equation for the conversion of liquid water to gaseous water and then write the equilibrium expression for that process. I hope you find these useful! What are your favorite, cost-effective demonstrations around these or other topics? Gather the materials and see the "Procedure" for the preparation. I forget where I first learned of these two demonstrations, but some wise teacher must have shared them with me at some point so I feel the need to acknowledge that I learned these demonstrations myself at some point. I like the alternate procedures mentioned here, but I happen to have a question about the traditional method with a bell jar and vacuum pump. There have been times where I have had trouble repeating the demonstration in front of my students and I have begun to wonder if what I thought was boiling is instead degassing [undissolving of gases] in the water. I have tried before to use freshly distilled water and still have had a repeatability issue. Is there a way I can tell the difference between boiling and degassing or is there another explanation for why I am having repeatability issues? A sealed thermometer (alcohol or electronic probe) in addition to a pressure gauge can give you data to match against a table of vapor pressures for water. You might have unexpected poor vacuum and/or greater degree of cooling that you expect. If you believe that it is out-gassing (ie Henry's Law), then you can increase the salinity (ionic strength) of the water and consequently decrease the dissolved gas concentration. I just don't know that there's really that much dissolved gas involved... for O2, you're talking around 10 mg/L of dissolved gas (ie for that freshly distilled or boiled water sample). CO2 is a different beast. Of course, non-ideal behavior and multiple effects can be fun for students to try to deconstruct. Depend on whether or not you want to give a hint to your students during the demo. Once they get their hypothesis, see what happens with a larger volume of water or by switching to another compound (e.g. EtOH) with a different vapor pressure.